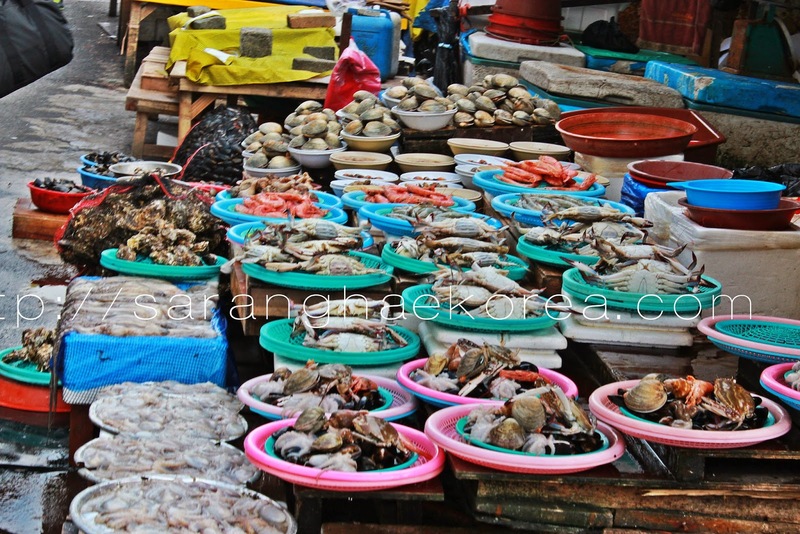 If in case you ever wander in the second largest city in Korea, don’t ever leave Busan without having a good seafood trip at Jagalchi Market. 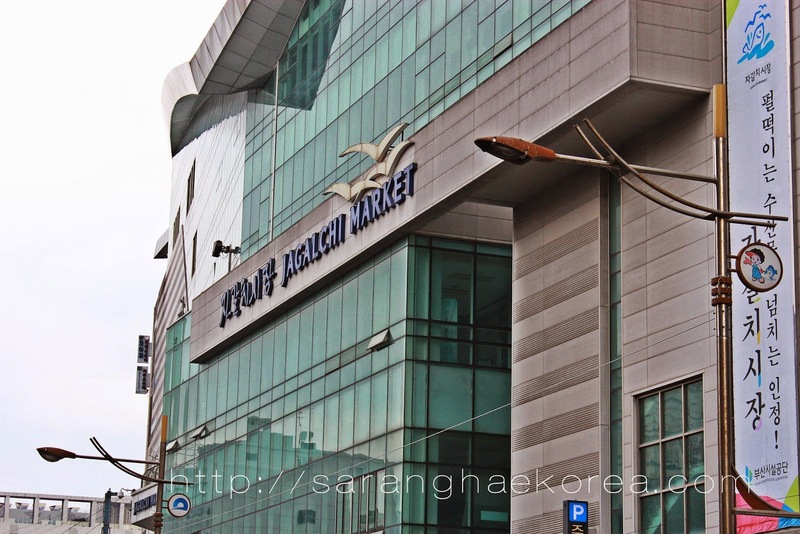 Jagalchi Market is famous in Korea because it is the largest seafood market in the country. It is located right beside the Nampo port, which is why all the fish, shellfish and other seafood products are 100 percent guaranteed fresh. If you take a walk around Jagalchi Market, live fish taken fresh out from the boat is a common scenario. You can also see tanks lined up with all sorts of edible sea creatures that are offered to customers fresh and at some point alive. Not only that, you can also eat fresh fish at the market. There’s area where people go just to try eating fish, squid and shellfish raw. 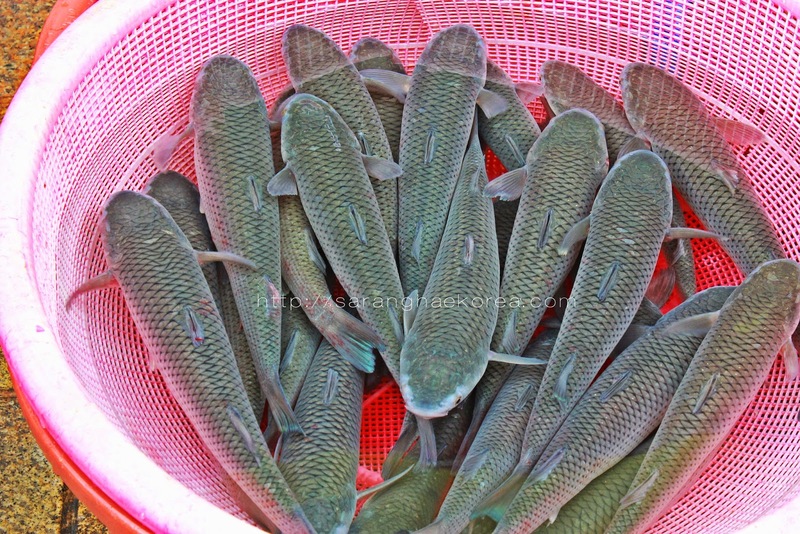 The jagalchi ahjummas and jagalchi ahjussis (men and women vendors at jagalchi) will pull off these fresh fish out of the boat straight from the Nampo port and sell it to customers to eat. 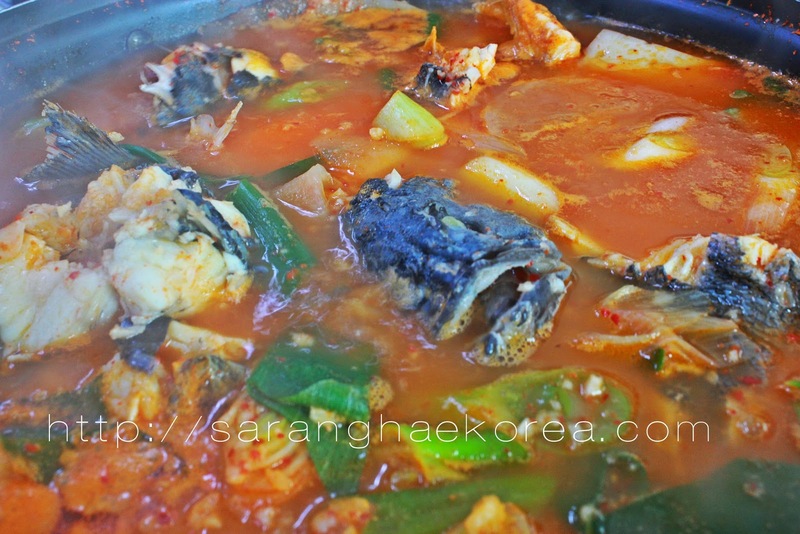 But of course, you can also order seafood cooked in Korean way from the restaurants which is just in the area. There are a lot of them so you surely won’t find it hard to check it out. You can see how the vendors clean the fish, chop it and cook it right at that instant. Things in Jagalchi Market really happen fast, there will be no hungry moment there. Aside from the sight of fresh seafood in the alley of Jagalchi Market, I am more than amaze with how people work there. It really shows the real lifestyle of people in Busan, in fact it’s the best place to represent Busan in general. 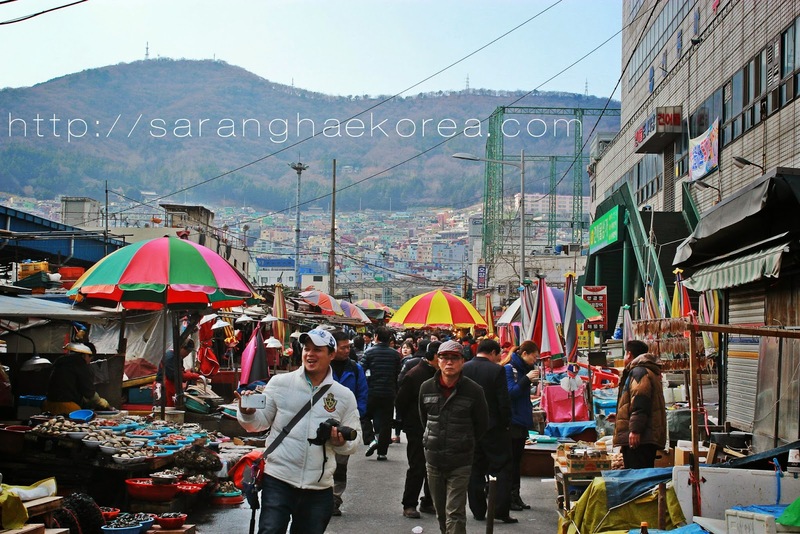 If you want to see Busan in a whole perspective, Jagalchi Market will show it all to you. It will show you the best of Busan in everything, from food to culture and lifestyle and PEOPLE. Taking a walk along the market may smells like fish and squids and whatnot, but who cares? That’s what makes it even more interesting and conducive for a seafood trip. If you want to go to Jagalchi Market in Busan, take subway line number 1 and get off at Jagalchi station and go to Exit 1. Walk straight ahead until you come to the fish market. I can imagine the smell only because I can still vividly remember the smell of Thailand when I visited at 12 years old. I find other cultures very interesting. I would love to visit Korea one day. Thanks for sharing! I love trying new foods. I would love to visit a market like this and try different "street foods" I would love to visit some day. Your pictures are stunning! This looks like an amazing place to travel and visit. I am not a seafood fan but am always trying it in case I can find something I like. I never would have thought you could buy live fish at a market like that. That looks like such an experience! Kind of like really immersing yourself in the culture. I don't really eat sea food, but I think that I would enjoy the atmosphere. I like to experience the way other cultures do things. I've never heard of the Jagaichi market before. It looks amazing. I loved walking around the Tsukji market in Tokyo and eating the freshest sushi. Hopefully I'll be able to experience this fish market in Busan one day. Oh gosh, this wouldn't be for me at all. I've lived on an island all my life but don't light seafood at all, I can't even look at it whilst I'm eating as it puts me off my food. It looks like such an amazing market though, lots of fresh food produce and lots to see. My husband would absolutely LOVE to visit this place. He works in a meat market as a butcher, and has his hands in seafood all the time. He loves to cook, and picking out fresh fish puts him in his happy place. We've never been to a market nearly that big, only a smaller one in NYC, but I bet it's a fun experience! Hi Miranda, apparently, Seoul is far from Busan. If you have ample time to visit Busan, then you can check out this place. Thanks for checking my other posts.